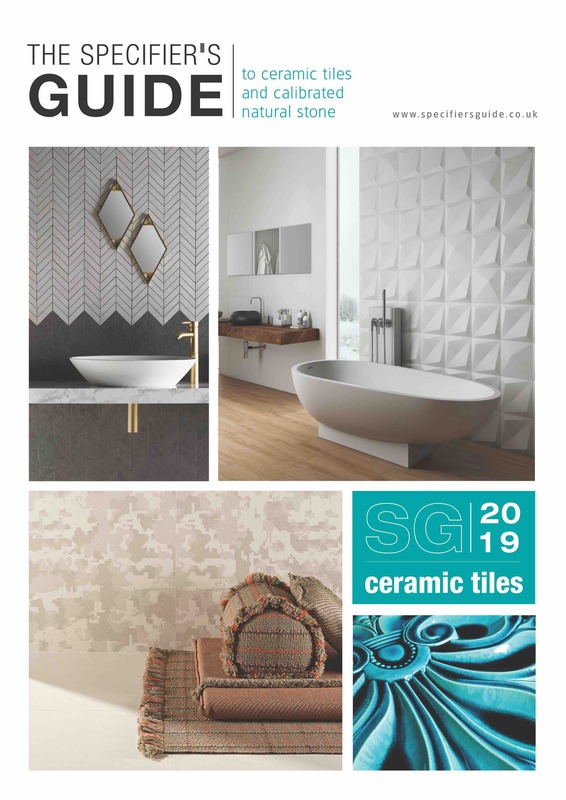 The 2019 edition of The Specifier’s Guide to Ceramic Tile & Calibrated Natural Stone, which explores all the latest ceramic tile design trends and advanced installation techniques, is now available in print and online at www.specifiersguide.co.uk. Now in its fifth edition, The Specifier’s Guide has established itself as an annual industry bible and provides an essential specification tool for architects and designers. 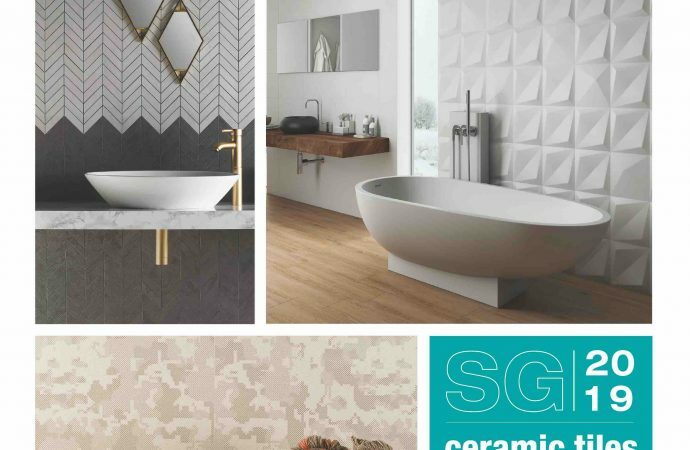 Content includes informed analysis of global tile trends, along with reports on the latest technology, and sustainability; as well as some truly inspirational case studies. Ancillary products – from backer boards and anhydrite screeds to entrance matting and water-based sealers – are also examined within the Guide, with expert comment from Joe Simpson, the Guide’s award-winning Editor. The last 12 months’ has seen further significant advances in tile manufacturing technology, especially in continuous pressing and digital inkjet decoration. As a result, ceramic ‘tile’ has forged new markets in countertops and furnishing applications, while 20mm porcelain tiles are rapidly gaining traction in external landscaping. The Specifier’s Guide explores all these areas, while also examining specific materials and formats, as well as niche specifications, including ceramic façades, decorative murals and hand-made ceramics for heritage restoration projects. Technical contributions are included from a broad range of leading manufacturers, offering advice on subjects ranging from the new generation of gel-based adhesives and water-based epoxy formulations, through to wet-room systems and the dynamic world of coloured grouts. The Specifier’s Guide’s initial distribution includes every architectural and interior design practice, as well as developers, building specifiers and facility managers. Copies will also be available to qualified visitors to The Surface Design Show. The Specifier’s Guide is published by Kick-Start; the team behind the UK’s leading tiling and contract flooring trade publications – CFJ and TSJ. Interior Designer Magazine is Britain's longest established magazine for professional interior designers. Working with the best in the industry, we bring you interior design inspiration, ideas, news and more. A magazine tailored specifically for CEOs and other senior decision makers driving the British FMCG industry. To advertise in our magazine, interior design yearbook, web directory or Interior Designer Magazine site, please contact Donna Jenkins at donna@mediaone.co.uk or telephone 01733 385310.